What are Some Home Based Businesses? 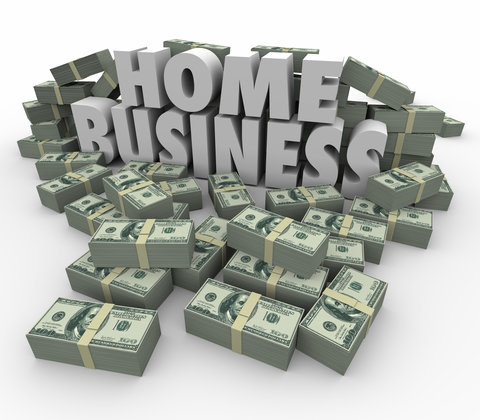 Home Based Businesses and Working From Home have become a popular topic online. Some people are looking to start something full time, while others are looking to get going on a more part-time basis. In this article, we are going to take a look at some ideas you can start implementing today to get your home business started. If you have a skill or talent that companies can use, starting your own freelancing business could be a viable option. 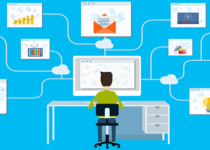 Freelancers exist for all types of jobs across all different industries. 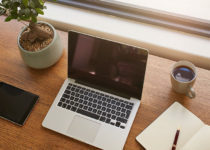 Upwork is a popular website that allows freelancers to connect and obtain different kinds of remote freelance work. This includes everything from writing, graphic design, social media work, and administrative work. Virtual Assistants provide remote services to their clients. This can include administrative or technical work. Common tasks include placing and answering phone calls, typing up documents and data entry, and customer support. They work from their home office and do all of their work virtually. Virtual Assistance services can be found on a website such as Fiverr. Amazon Kindle Program allows people to sell their digital eBooks online. If you have a particular skill or enjoy writing about a particular subject, you can write a book about it and start selling it on Amazon. Information Marketing has become very popular because once you create this book, you can keep reselling it over and over again. Kindle Money Mastery is a program to look into if you would like to get involved with Kindle publishing and will review how to earn an online income with Kindle publishing. If you like working with your hands and enjoy building things, a Woodworking business could be the option for you. You can create different types of wooden crafts and then sell your creations to interested individuals. If you enjoyed shop class in school or always find yourself trying to build or redesign something in your house, this might be a good home based business idea for you. You can look into something like WoodProfits if you would like to find out more about setting up and starting a Woodworking Business. With an eCommerce store, you can sell different types of products online. Set up your website, pick the types of products you want to sell for your business, and start generating sales. To get started in this type of business, you are going to need to know where to source and obtain your products from. Did you know that there are a number of suppliers out there that will allow you to purchase products from them at Wholesale Prices that you can then resell at a higher price to make a profit? A number of suppliers will do Dropshipping as well so when your customer purchases a product from you, that product is automatically dropshipped directly to your customer. No need to carry any inventory in your house! Salehoo is a valuable resource that you can use to identify the right types of suppliers to work with and the right types of products to start selling. I wrote up a Salehoo Review which you can also find here. With an Affiliate Marketing Business, you promote products online and generate a commission each time a product is sold. If you promote multiples products and people purchase several products from you, you can generate multiple commissions. To get started in Affiliate Marketing, you would need to set up a blog or website, do keyword research, and then decide on the type of niche you would like to get into and starting bloggging about. An easy way to learn Affiliate Marketing is to sign up for a complete training program like Super Affiliate System or Affilorama. These programs will teach out how to properly do Affiliate Marketing online and get your home based business started on the right track. If you enjoy looking at the market and would like to trade online, you have a number of options. Some people enjoy trading Forex or foreign currencies and there are a number of options you have to get involved with that. Other people are getting into trading Cryptocurrencies like the popular Bitcoin, Ethereum, and other coins you may have heard about on the news lately. Either way, if you do decide to get into this, the best bet is to start out with a small amount of money until you get the hang of it, before investing in larger amounts. If you are an expert in a certain area, you can make money by teaching others online. You can create online courses and share your knowledge with others who may have a need for it. Your skills and experience can be valuable to others. There are always people out there looking to learn new things, and sharing your knowledge will benefit others. If you enjoy social media at all, this might be the type of home business for you. There are Paid Social Media Jobs out there where companies are looking to hire for to manage different social media tasks and campaigns. You could be working with Facebook, Twitter, or YouTube and doing different types of social media tasks for companies like posting comments, and liking posts. Paid Social Media Jobs goes into more detail. As you can see, there are a number of different types of ideas out there for starting a home based business today. See which ideas interest you and what you are most passionate about. Most of these businesses can be started on a part-time basis or to earn a bit of extra side income. Start implementing at least one of the above mentioned ideas and you will be on your way to success with starting your own home based business.